We battened down all the hatches this past weekend and managed to weather Hurricane Irene without incident. Rainy days are good for watching TV or doing projects. We spent two days watching back to back episodes of the BBC series MI-5. 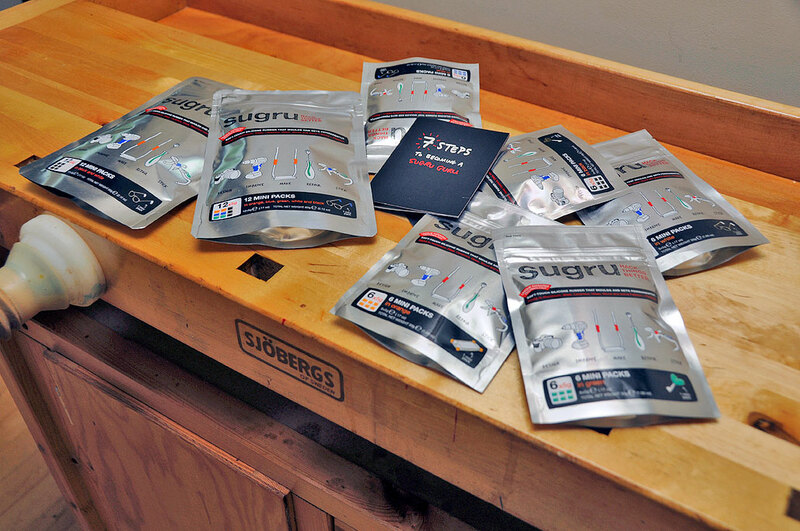 If we had gotten off our butts and looked at some of the stuff which came on Friday, we would have seen that we had received a shipment of Sugru. If we had, how we spent our weekend might have taken a completely different turn. The name Sugru is an Irish word “sugradh” for “play”, but what is Sugru? The better question is not what is it (silicone elastomer), but what you can do with it. According to the instructions, Sugru is designed to stick to all kinds of material (aluminum, steel, ceramics, glass, etc…) and can tolerate a wide range of temperatures (-76’F to + 356’F). Sugru comes in a variety of colors and can be blended to create different shades. It can be shaped like modeling clay. It self-cures into a soft, water-proof, and rubbery substance which is perfect for all kinds of product “enhancements.” Think Silly-Putty on steroids. In its uncured stage, Sugru will last for about six months sealed in the pouch. The “use-by” date is stamped on the back of each package. 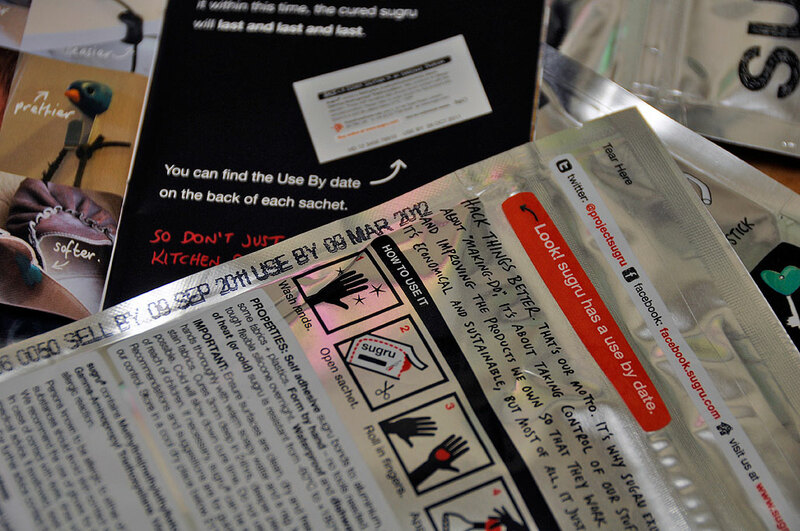 Ours have a sell-by date of Sep 2011 and a use-by date of Mar 2012. We have lots of ideas for what we want to do with the stuff. We won’t have any problems using it all within the 6-month window. If you want to see what others have done with Sugru, check out the gallery here. It is pretty amazing. Look for our Sugru FirstUse report by the end of the Fall.